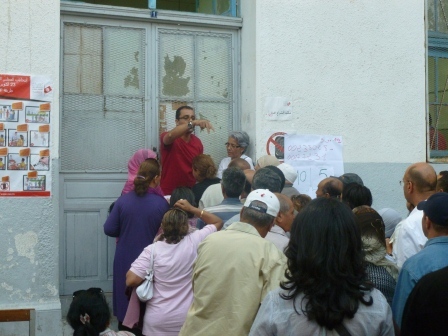 Passive resistance or simple indifference, why are Tunisians avoiding voter registration? 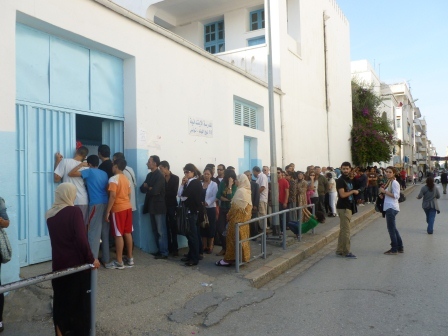 I have written previously about the lackluster results of the Tunisian voter registration campaign. 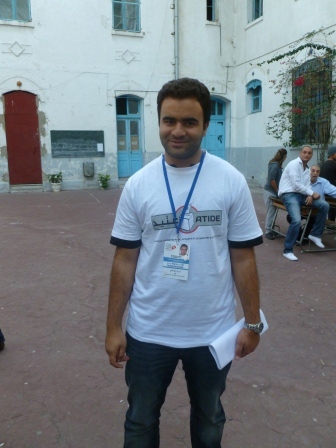 Despite the election authorities’ redoubling of their efforts in print, radio and television and desperate calls from Tunisian activists, the total number of voters registered totaled only 1.2 million out of over 7 million as of this Saturday, prompting elections authorities to prolong the registration period for an additional 12 days. 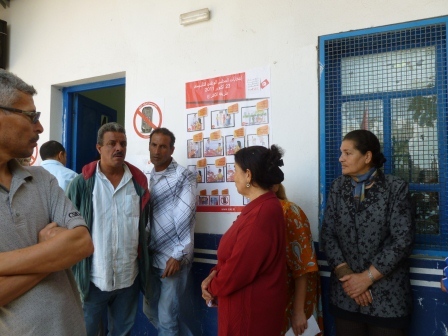 (as of August 2, 2 million Tunisians have registered, about 25 percent) A low rate of voter registration has potentially devastating consequences for the elections and the transition in Tunisia. 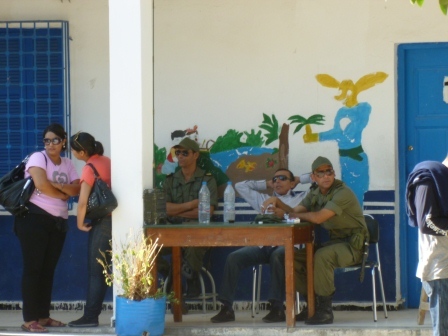 Several theories exist about why Tunisians are avoiding registering. 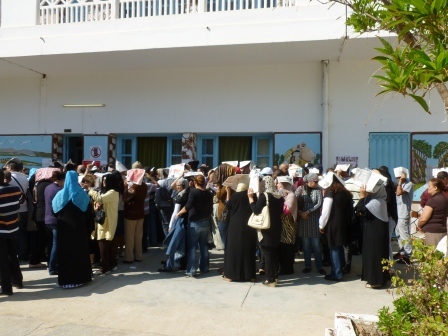 While some have questioned the campaign tactics of the elections authority and the ignorance of Tunisians about the process, most have acknowledged that despite some initial delays the campaign to get voters registered has been well organized. 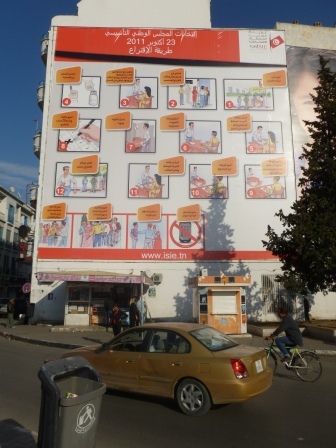 On a recent trip outside of Tunis the print and radio ads were omnipresent, suggesting that the awareness campaign has not just been active in the capital. 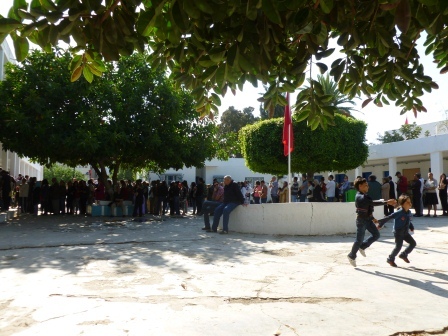 One of the most common theories is that Tunisians tend to procrastinate and that it’s only natural for them to wait until the last minute to register. Given the feeble rate of registrations up to this date, this would create an extremely chaotic situation in the final hours of voter registration. 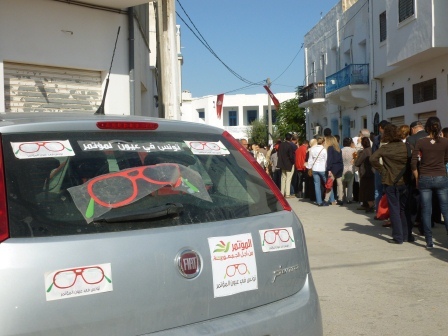 Another theory is that Tunisians are skeptical about the electoral authorities commitment to free and fair elections. 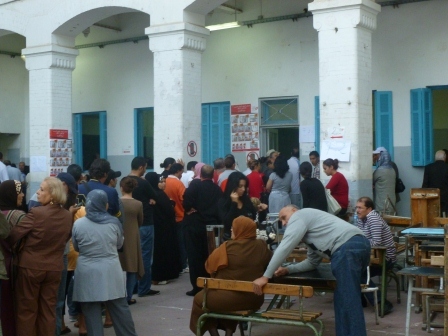 Aljazeera’s Yasmine Ryan highlighted some of these fears in a recent report that showed the lackluster commitment of Tunisians consular officials in Paris to the voter registration process. 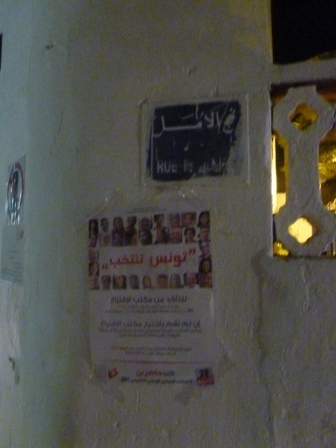 This corresponds to what many Tunisians here in Tunis have expressed, that the process is flawed and that the elections will be stolen no matter what. 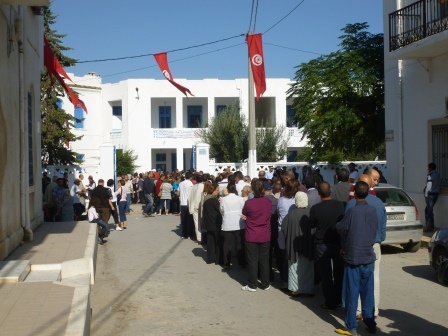 Yet another hypothesis is that Tunisians are adamantly against the holding of a constituent assembly, preferring instead a presidential and parliamentary elections. 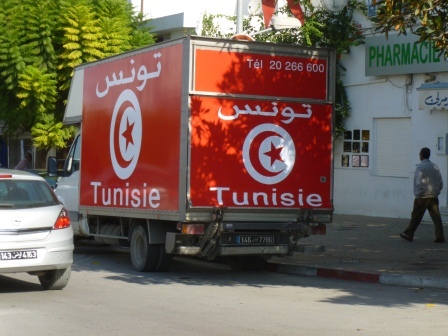 This theory, recently expressed in a controversial opinion piece on the Tunisian website BusinessNews Tunisia, posits that a constituent assembly will continue to leave the country mired in a transitional period, further aggravating the economic crisis and creating further rifts between Tunisians. 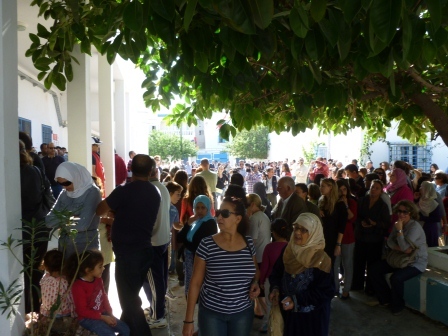 Could feeble registration derail the transition? The truth is that the poor voter registration numbers are likely a combination of all of these theories. 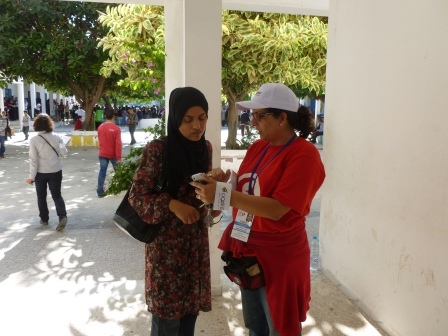 Despite the massive media campaign, Tunisians have no first-hand experience with free elections and may be confused about the necessity to register. 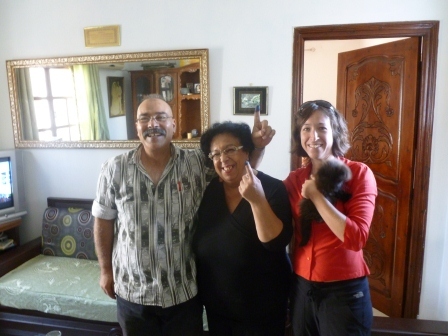 The fear that the revolution will be (or already has been) stolen is commonly heard among Tunisians of all political stripes. 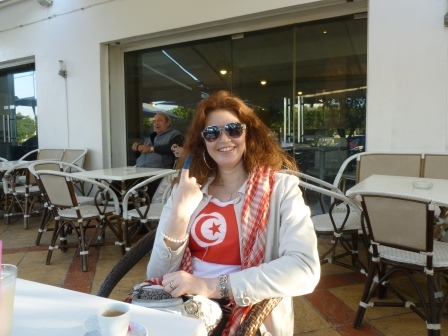 Others are simply tired of politics and think that elections are another way that Tunisians will be divided against each other. 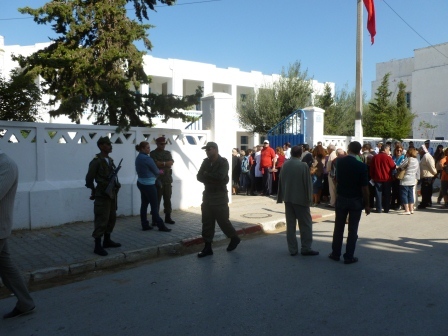 The consequences of Tunisian inaction have the potential to be the biggest setback yet in their transition to democracy. 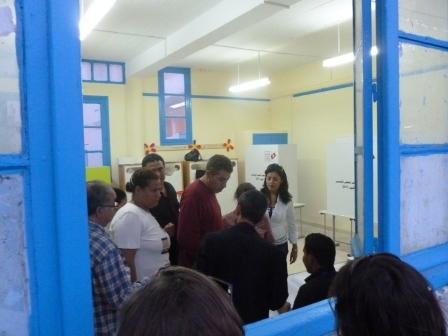 If a majority of Tunisians abstain from voting (or are prevented from voting because they are not properly registered), this will play into the hands of whichever party does not do well in the elections. 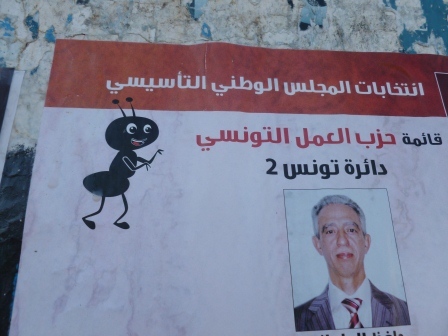 The winning parties will be de-legitimized and the constituent assembly will likely face similar problems to those faced by the High Commission (Haute Instance) for the transition – which has been racked in recent weeks by dissensions, most notably from the popular Islamist party, Ennahdha. Alternatively, a feeble registration rate could make politicians reconsider the elections altogether, either transforming them into proper presidential/elections or into a referendum. 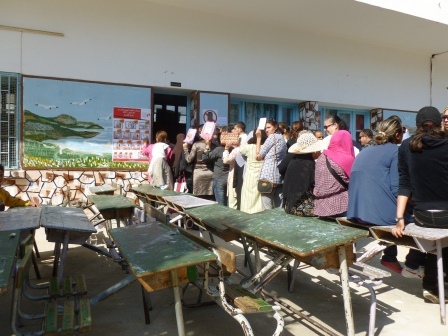 However, officials would still be faced with the problem of registering more voters. The irony of the situation is that even the staunchest critics of the government recognize that voter registration is the key to beginning the true transition. Activists from all sides are dumbfounded by the inaction of their compatriots, who had previously expressed great enthusiasm for voting. 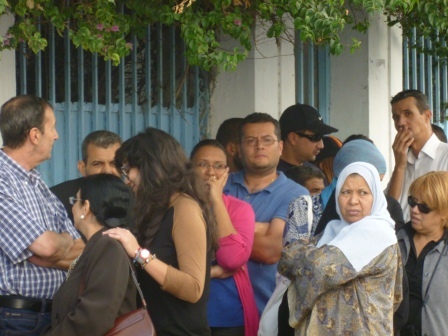 While the electoral commission has bought itself more time, registering 5 million Tunisians in the next 12 days will be extremely difficult, and a poor result could further destabilize the government. 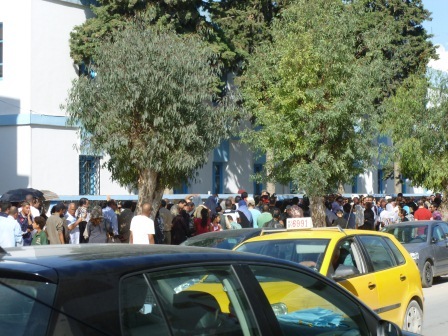 While the authorities will likely add electors to the list from the database of national identity cards, this has its drawbacks as well, with a greater risk of fraud (voter registration confirms the place of residence) and more chaos on voting day. The situation today is both surprising and disturbing, especially given reports that of those registered, only 20 percent are women. 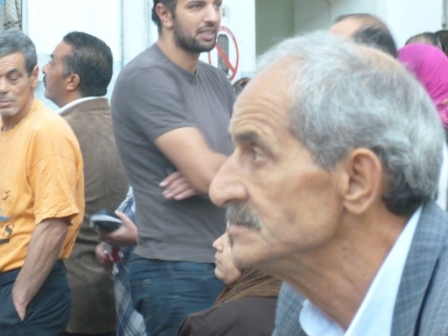 The January 14 toppling of Ben Ali and the subsequent transition toward free elections (the first ever in Tunisia) represented a re-writing of the Tunisian social contract – the agreement between the government and the governed – one that would be based on participation and accountability. Over the last few weeks, I’ve raised the issue of the importance of political polling as we approach the October 23 elections. 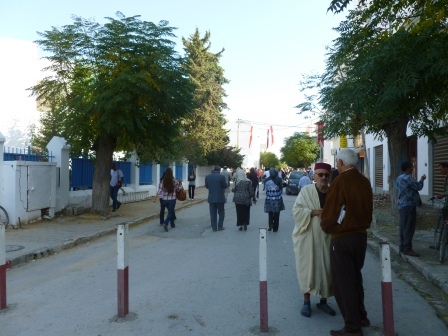 A new poll released this week raises more questions about the precarious political situation in Tunisia and how voters will respond in this Fall’s ballot. It also avoids key questions that would help us understand how the elections might turn and how political parties can reach out to voters. 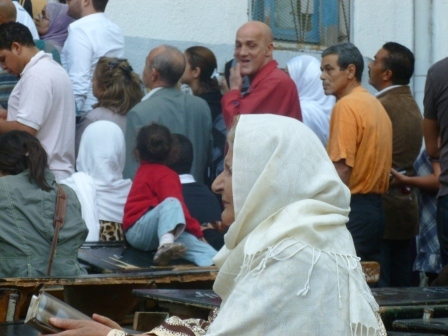 In an era of misinformation and lots of speculation, both in Tunisia and outside, the newIRI poll provides useful data on how Tunisians view their future (including their hopes and fears), the role of secularism/religion, and how Tunisians get their news. Particularly welcome is there publication of their methodology, which other polling firms here have declined to provide). The last two figures are key. 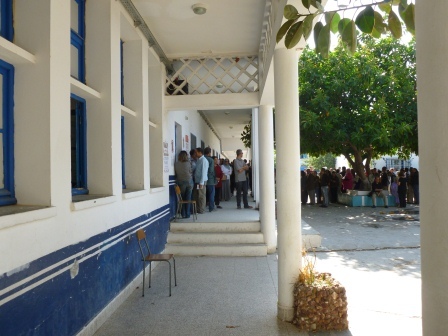 Political parties are the key to the upcoming elections and probably the single most understood and undervalued element in the transition period in Tunisia. When voters go to the polls in October, they will be voting for their preferred parties, not individual candidates, within their voting district, a system called proportional list voting. This proportional list system favors a multitude of parties gaining at least some seats. While it does not favor small parties, it doesn’t exclude them either. 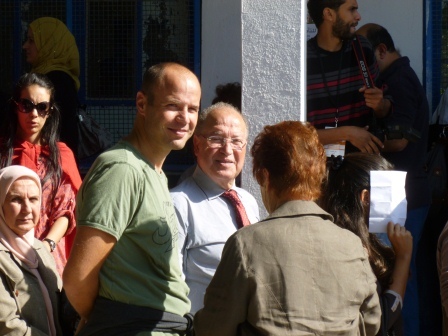 Parties with strong support will receive a proportional share, while those receiving fewer votes must meet a minimum threshold in order to gain a seat within each constituency. With over 100 parties competing in the coming elections, even the most well-informed voter could be confused by the plethora of parties. And as I’ve written about previously this week, most parties identify themselves as centrist, meaning that their is very little differentiation among party platforms. Unless there is some serious consolidation among like minded parties, there is a great risk that the elections will be jeopardized by spreading votes too thinly across the many political parties, making the drafting of a new constitution and the day-to-day governance of the country nearly impossible. Imagine a district with 10 seats where 10,000 votes are required in order to gain a seat. Then imagine that the current front runners, Ennahdha (Islamist) and PDP (center-left), each wins 2 seats. The remaining 6 seats will be given to the next closest parties receiving votes. If we use the current polling data, these seats could essentially be randomly assigned, as no other parties receive statistically significant support from Tunisian voters and there is no way to judge the political slant of the electorate (whether they are leaning right or left). Under these circumstances, a party leader of a small party has an incentive to consolidate his base by joining forces with another smallish party. For those parties that are ideological, alliances should be fairly straightforward, unless there are big egos involved. Far left wing parties should work with other far left wing parties, etc. 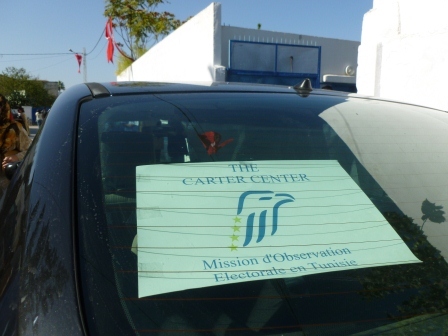 However, most Tunisian parties are centrist. Under normal circumstances, these centrist parties would make some calculations for alliances based on support in various regions and by further differentiating based on ideology (i.e., center left parties join with center left parties, etc). Unfortunately, once again, the polls fail us. We cannot find data that would point a party leader toward making a calculated choice. None of the polls I’ve examined point to regional variation across the country, nor do they look at how voters would like their elected leaders to solve their problems (ideology). 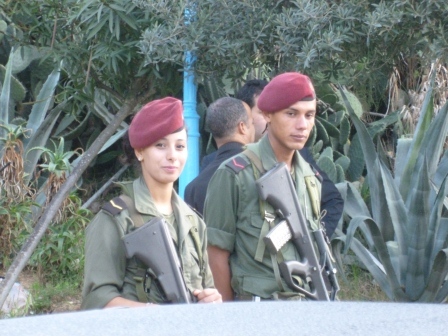 We simply do not know what side Tunisians fall on, left or right. This information gap makes alliance making extremely difficult and very risky for a political party. As of now, most of these small parties are testing the waters with voters. They are reaching out to voters across the country and they are no doubt looking at enthusiasm for their positions (and their opponents) at rallies, on the newsstands, and online. With three months to go before the election, the time to start making these alliances is now. 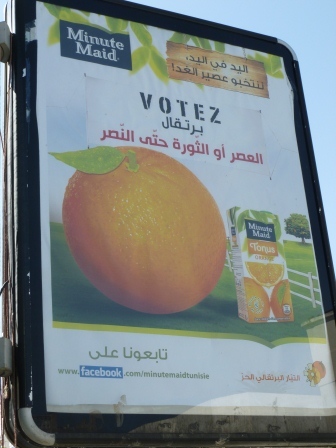 Ramadan, which begins at the end of July, will make campaigning problematic until early September, at which point there will only be seven weeks to go before the election. 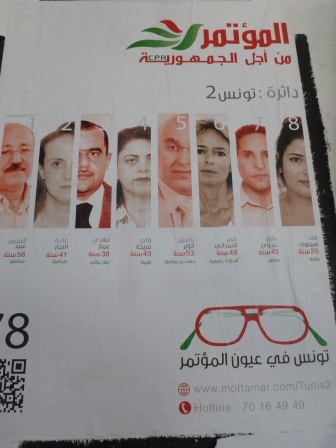 Perhaps, as this week’s poll points out, Tunisians are right, political parties are only looking out for their own interests. Or perhaps, they need more information from voters. Their are several ambiguities in the poll. For example, while 54% of respondents approved of a secular government, 59% would like to see political parties that are moderately or strongly Islamist in the Constituent Assembly. 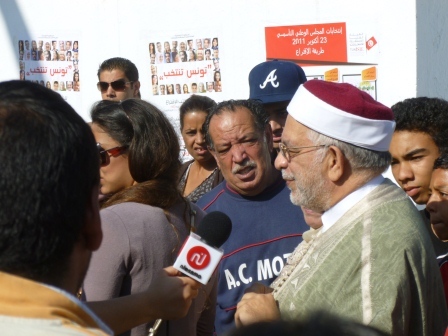 Meanwhile, the percentage of Tunisians whose political opinions are influenced by religious leaders fell from 46% in March (the time of the previous survey), to 34% in May. 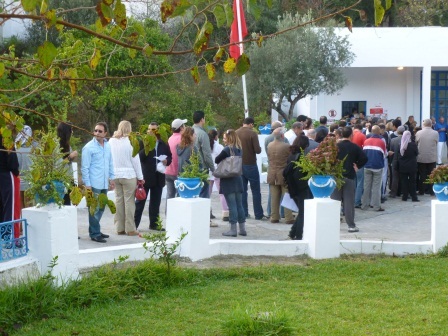 None of the public opinion polls conducted so far have included expatriate Tunisian voters, who will for the first time have the chance to vote from abroad. Postscript: This is the second time I’ve looked closely at IRI data. Lest anyone think I’m only reading U.S. sponsored polls, I am not. However, with the exception Emhrod, no other polling firms have released their polling methodologies, that I know of. Polls by MediaScan, Sigma, and 3C have failed to publish methodologies and complete lists of questions. It’s possible the information I believe is lacking is in fact out there somewhere. If it is, please send it my way and I will happily revise. 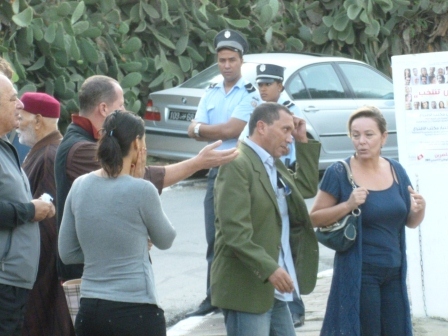 A Clash of Civilizations in Tunisia? These quotes are from Marc Lynch’s article in Foreign Policy this week in which he surveys the rise of Islamist party Ennahda in Tunisia. 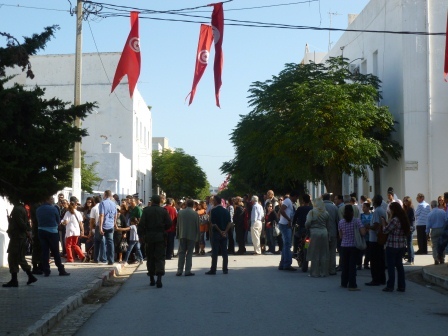 To read it, one might think that Tunisia was on the verge of a political breakdown. 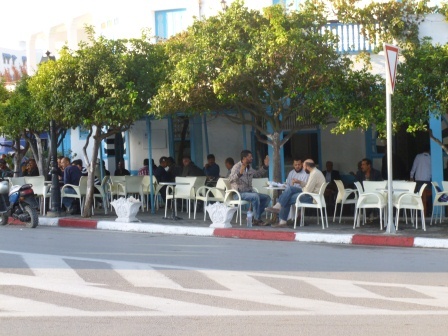 While Mr. Lynch makes some important observations, his argument would be vastly more credible if he would link what he perceives as the growing fissures in Tunisian society with the number one concern of Tunisians from all walks of life – the economy. 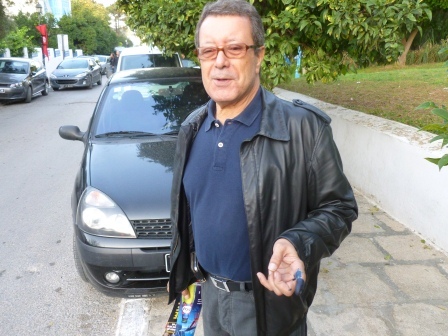 His article is an important one, and it goes far beyond the vitriol one often hears about the political process in Tunisia, but it also raises more questions than it answers. 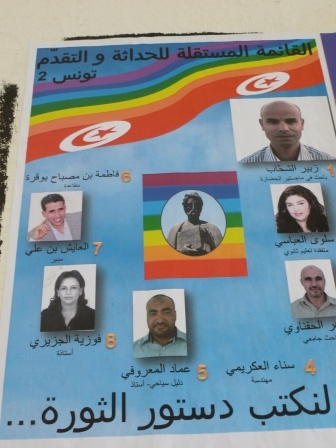 What society do Tunisians want? 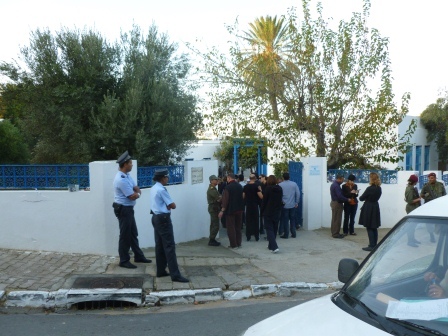 During his visit to Tunisia Lynch traveled extensively and engaged with key leaders of several political parties, particularly Ennahda. 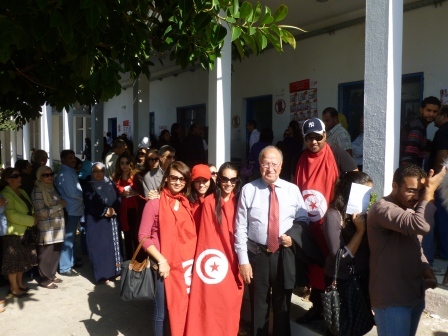 Documenting their major organizational efforts, including establishing offices in every province, traveling and meeting with Tunisians, and holding large political rallies, he outlines a party that is clearly reaching out and impressing a large number of Tunisians. He also states that other political parties are neither as well organized or as popular. So, are other parties unpopular because of their platforms? 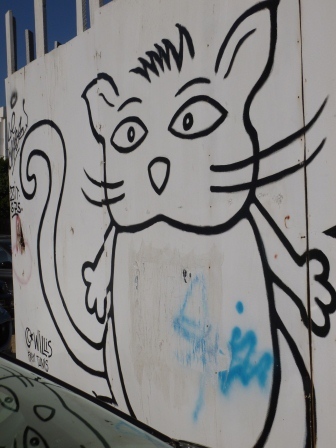 Or are they unpopular because they are not organized – and thus simply unknown? While stating that support for Ennahda has reached 30 percent, he acknowledges that Ennahda has not released a political platform. So where does this support come from? Has it hit its ceiling? Is it capable of becoming even more popular? Lynch states that there is indifference or contempt for other political parties, but he does not explain where this comes from. There are parties here that are seen as relics from the old regime, there are communist parties, labor parties, capitalist parties. It is natural for a capitalist in the business world to strongly disagree with the communist party platform, and likewise a communist involved in union politics to have contempt for the capitalists. The question is whether these differences can be overcome in order to write a new constitution that Tunisians will embrace. Consensus will not be made from agreements on political platforms, but rather, agreement on the terms of debating these platforms. 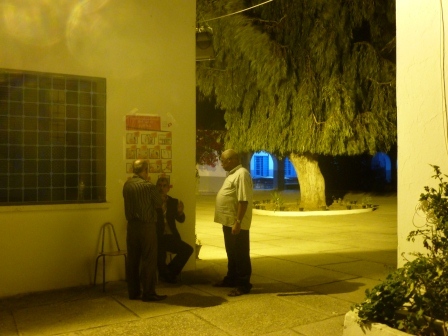 It is unclear from his perspective that we have passed that point here in Tunisia. 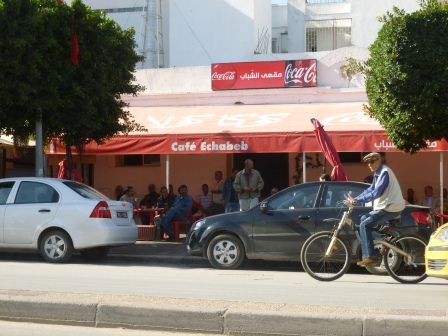 It’s curious that Lynch does not broach the number one issue for Tunisians – the economy. 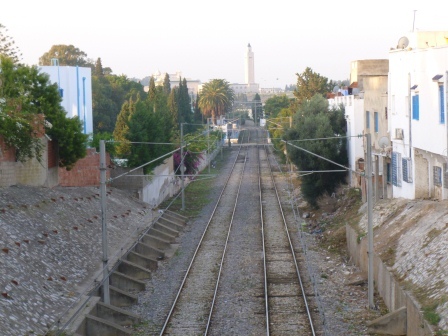 In the surveys that have addresssed this, and as Lynch points out anecdotally, Tunisians are very concerned about their economic prospects. 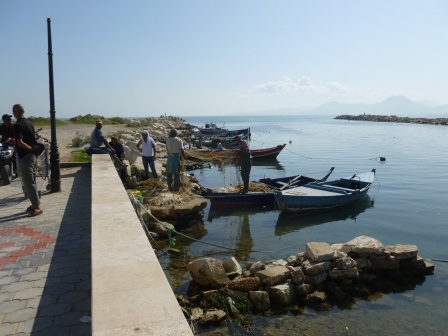 Tourism has declined dramatically and the country is mired in a slump that will be difficult to climb out of before the elections take place and there is a roadmap for the country – and investors. 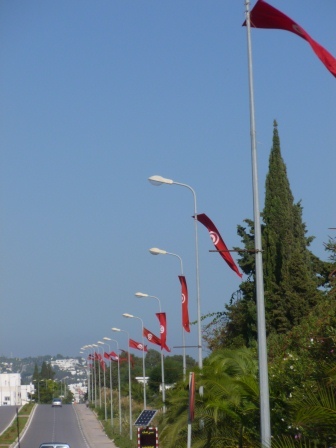 It would follow that the party that asserts itself as most effective to deal with the economy would have an advantage when Tunisians go to the polls in October. 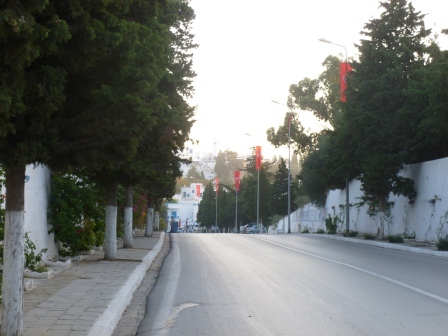 It would be helpful if in the political debates Lynch engaged in here in Tunis he would have posed the question, how will your party get Tunisia working again? 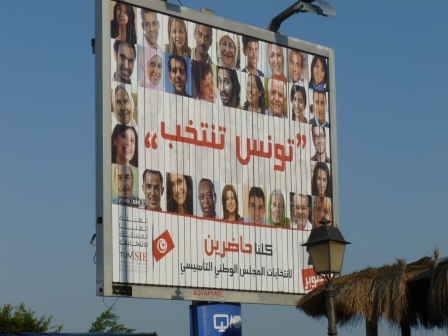 And does this message resonate with Tunisians? It seems to me that a party without a platform might be vulnerable in the coming elections. 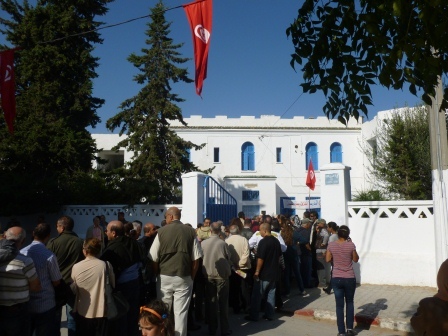 Unfortunately, political debate in Tunisia has become an echo chamber because of the rise of Ennahda, with no one debating anything but that. 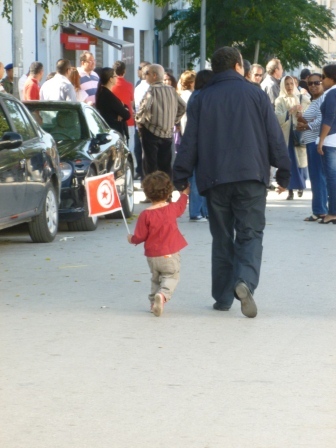 The truth is that while Ennahda is popular, with 30 percent support, the majority of the population do not support it. Lynch states alarmingly that the foundations for consensus are crumbling. 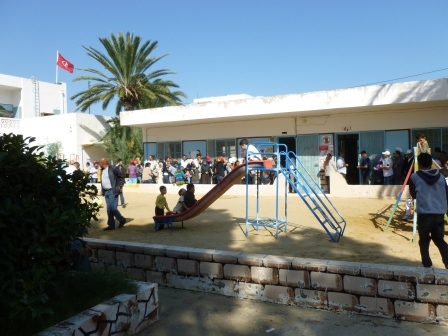 But without exploring the attitudes of the 70 percent of Tunisians that support parties other than Ennahda, this is difficult to judge. 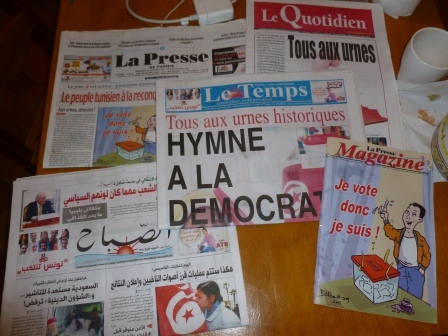 There is no doubt that the rise of Ennahda raises important and fascinating questions about the future of what has been a an authoritarian, secular society. 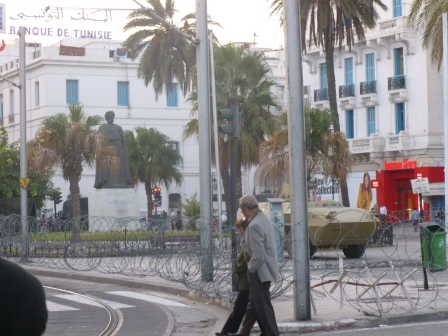 But it is not the only question in Tunisia, and it is certainly not the sine qua non over which consensus on the democratic transition may be made. The Pew Research Center recently published new data on the decline of American support for democracy promotion (thanks to Democracy Digest for alerting to this data). According to the May 2011 poll, only 13 percent of Americans support democracy promotion efforts in contrast to almost one-third after 9/11. What is interesting from this data is the seeming convergence of American public opinion with skeptics here in the Arab world. 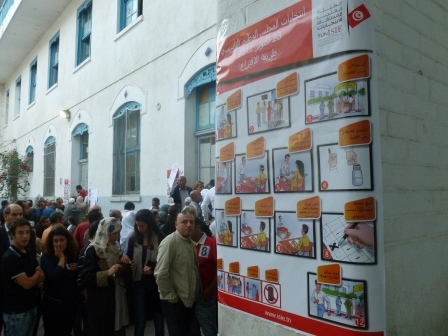 More and more in the Tunisian press (and as the WSJ reports, in the Egyptian administration as well), critics are lashing out against the efforts of the Obama administration to promote democracy following the Arab Spring. From the Arab perspective, the root of these critiques is a skepticism of both American motives (not surprising), but also a skepticism that these kind of efforts can even work. 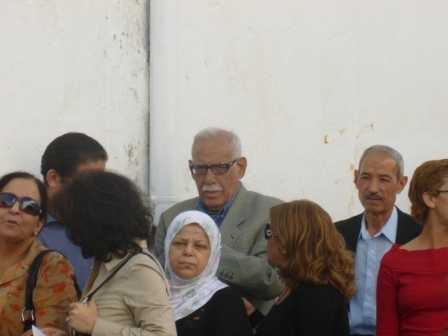 The recent trip of the Ennadha (the main Islamist party) spokesman Hamadi el-Jabali to Washington to meet with senior administration officials and members of Congress was seen as a tacit endorsement of the party in Tunisia. 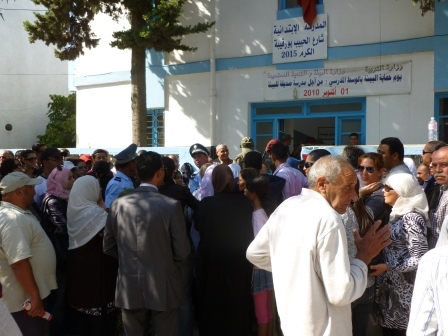 While democracy promotion groups have been busy conducting relatively benign trainings on voter outreach, the mere mention of these high level meetings brings to mind the history of Western interference in Tunisia during the Ben Ali regime. This idea of American king-making has long been associated with U.S. democracy promotion efforts, something that was certainly reinforced in the minds of both Arabs and in the U.S. through the failed democracy promotion efforts in Iraq and Afghanistan. 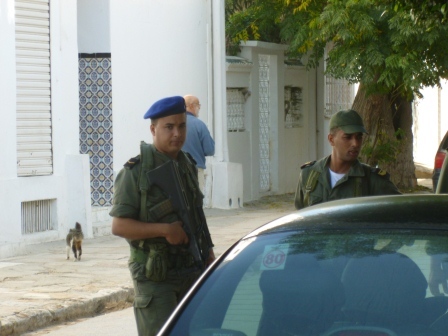 What does this mean for Tunisia? The consequence of this mistrust of democracy promotion efforts is likely to be minimal in the U.S. – the amount of money spent is insignificant compared to, for example, air combat operations in Libya. 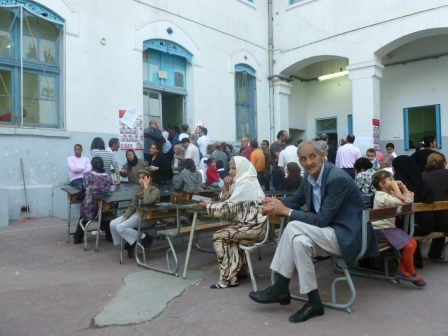 However, the skepticism could have important consequences in Tunisia (and other nascent Arab democracies) because internationally funded democracy promotion efforts generally benefit smaller parties – of which there are now over 100 in Tunisia. 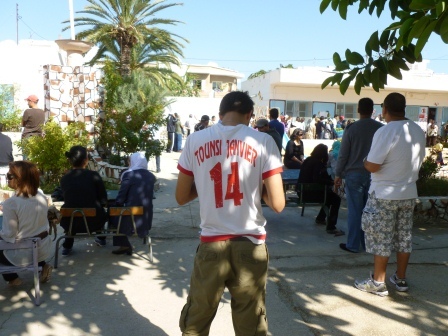 While larger parties are often connected to international movements (such as labor, chambers of commerce, or religious groups), these small parties are not well-organized or well-funded. 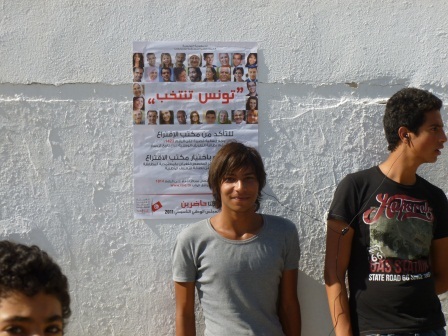 The repression of the previous regime made sure that they are inexperienced at campaign management, outreach, and media relations – the exact things democracy promotion outfits like IRI and NDI target. 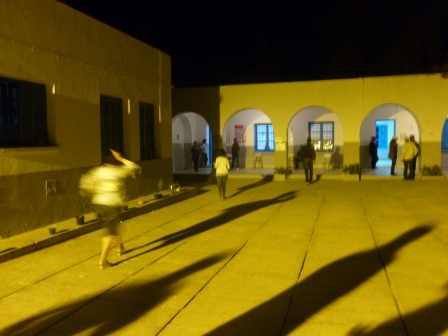 Skepticism toward foreign aid and intervention tends to be self-fulfilling. The less one is exposed to it, the more one is skeptical of its motives. 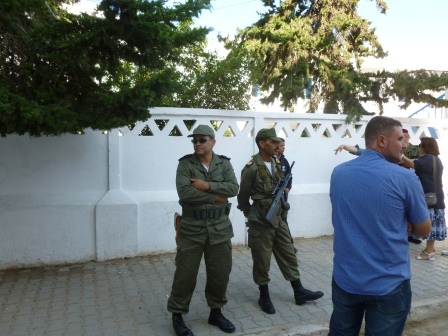 This may prove to be the case for the American public as much as for the Tunisian electorate.